Hi everyone and welcome! 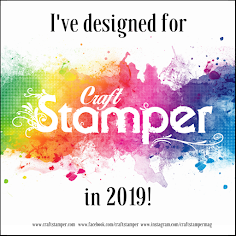 It's always an exciting honour to be asked to be a Guest Designer and I was especially thrilled to receive an invitation from Donna Bowman at The Mixed Media Monthly Challenge; the talented Design Team always come up with a huge range of gorgeous mixed media projects for each theme and a visit to see them is highly recommended! 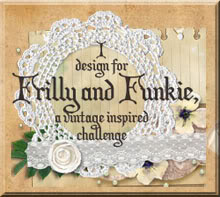 September sees the launch of the latest challenge theme - Vintage - which opens up a world of possibilities for you to get creative. And the challenge is sponsored by The Funkie Junkie Boutique this month so there will be a prize package for one lucky winner! So here's my project for the challenge - a card which has a huge mix of media on it (amazing what you can pile onto a 6 inch square card!) Now usually when the word vintage is used my thoughts turn to shades of brown, but of course vintage items don't have to be. This time I wanted to recreate the look of vintage fabrics with a sense of texture and faded beauty, and Wendy Vecchi's products/designs were the perfect match. Creating the 'vintage quilt' background to this card involved an initial layer of Crackle Texture Paste, over which I used the Gold Embossing Paste through the flower section of the Freshly Picked Stencil. I then scraped small amounts of Dusty Concord, Stormy Sky and Shaded Lilac Distress Paints over the surface before adding Texture Paste through the Vintage Quilt Stencil. A very dilute layer of White Gesso gave it all a chalky finish when dry, then a very dilute layer of Brushed Corduroy Distress Paint gave a more aged, yellowing look. Finally I lightly brushed the original purple/blue Distress Paints over the top to catch the raised areas. You'll see I mounted this background on some of the Metallic Kraft Card. Keeping with the fabric theme I stamped the Freshly Picked image onto calico and painted it with more Distress Paints. As these paints seem to dry slower and there's the option to use dabber tops, try dabbing different parts of the image with different colours of paint before stamping. Then when the image is dry, colour with more Distress Paint in lighter shades that has been diluted slightly with water. Once dry I ironed the reverse of the calico to flatten it before layering with bits of Mulberry paper, sari silk and old handkerchief before stitching to the background. The little LOVE plaque came from using Paper Clay with the IOD Escucheons 1 mould before adding a Remnant Rub and drips of Butterscotch and Mushroom Alcohol Ink. 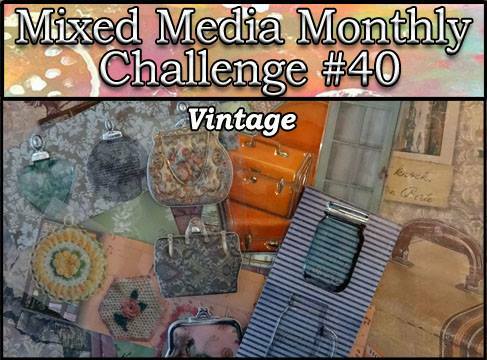 So that's it for my Guest Designer project for The Mixed Media Monthly Challenge #40 - Vintage. Thank you so much to Donna for inviting me to be a part of this month's excitement. Make sure you hop on over to the main challenge page to see the fantastic projects from the Design Team and get all the details for entering your own vintage themed mixed media projects. I'll be back very soon with more projects to share. beautiful Jenny! I really love how you made the faux quilt background. Oh, my gosh, Jenny, how I love this vintage card! Your crackled and layered background is phenomenal in it's authenticity and execution of all that stenciling and painting! I cannot say enough about how beautiful this is to me! 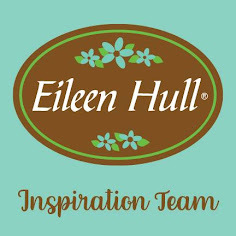 And your painted/stamped floral image is stunning to top it all off! Just lovely! Hugs! Wonderful use of colour, crackle and floral vintage ! Jenny . Congrats on your GD spot .